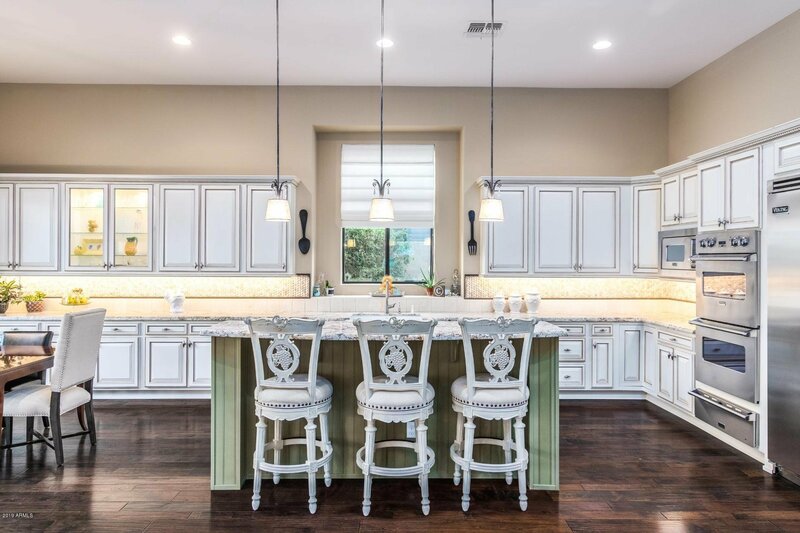 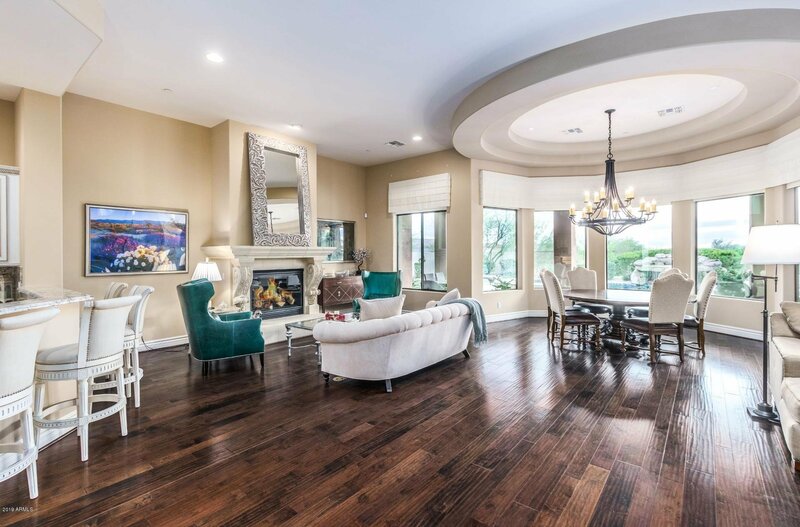 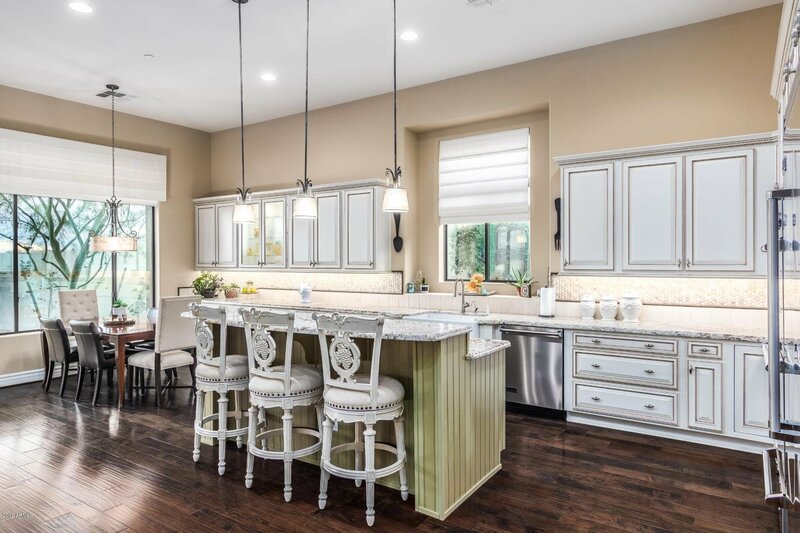 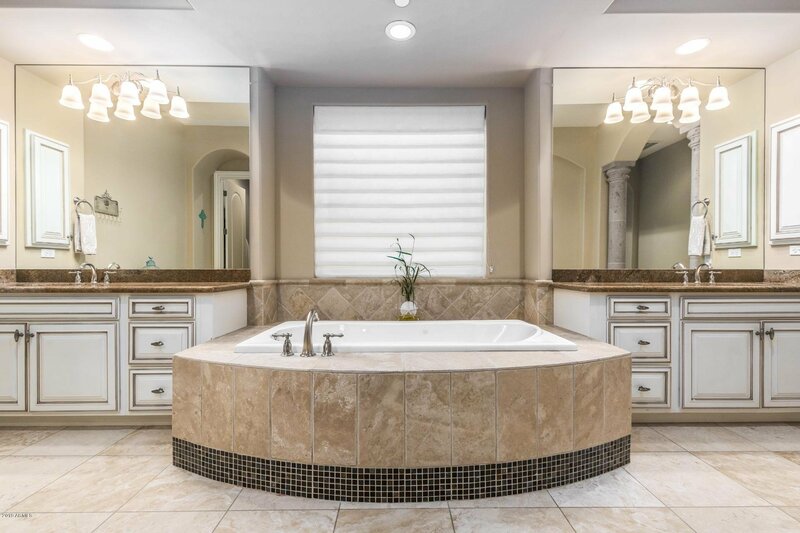 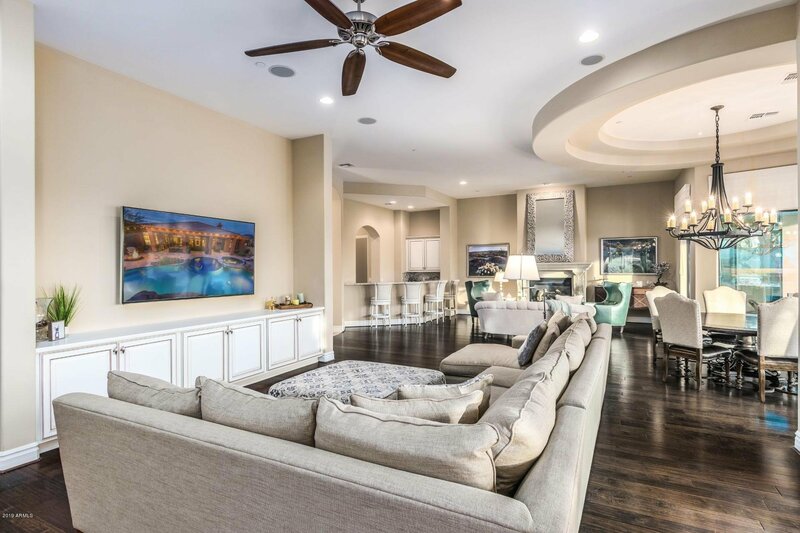 The Venado - A rare opportunity for the most desirable & ideal floor plan in prestigious guard gated, Windgate Ranch. 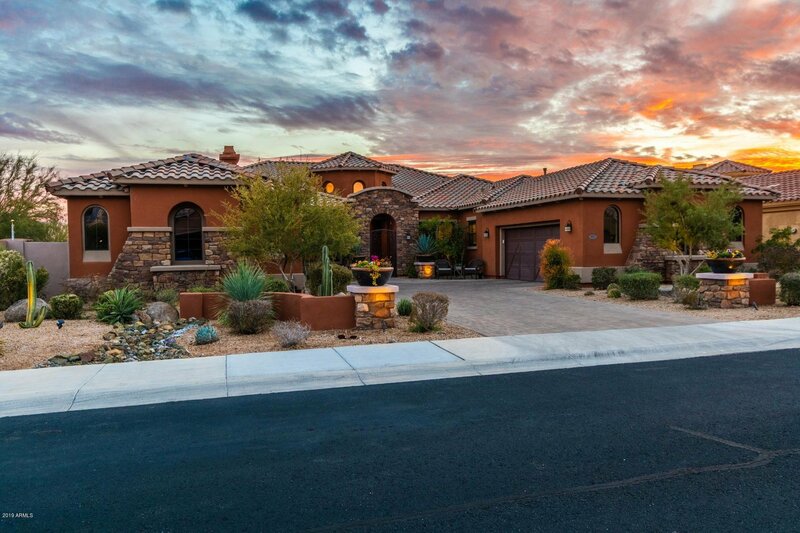 This North/South exposure, corner lot home, is in the most prime spot in the subdivision. 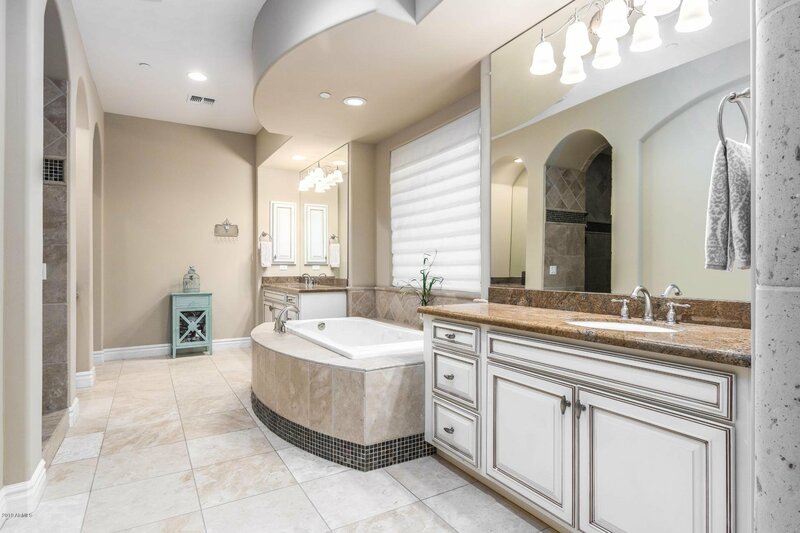 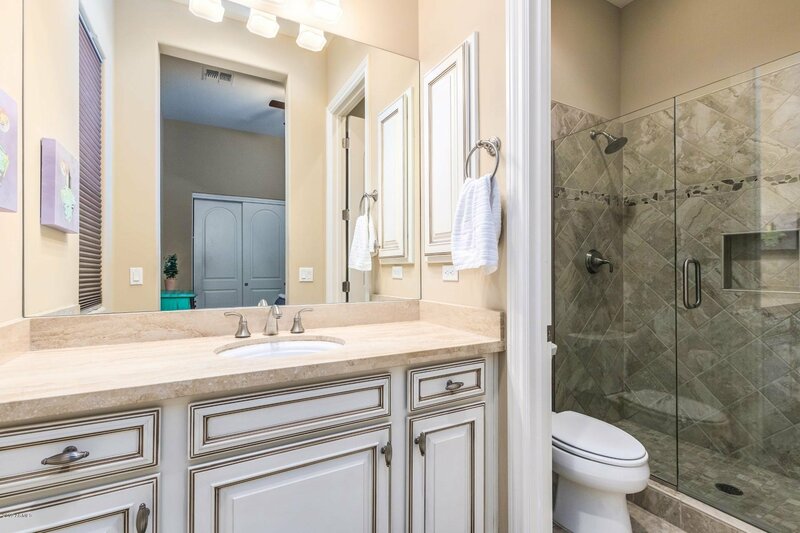 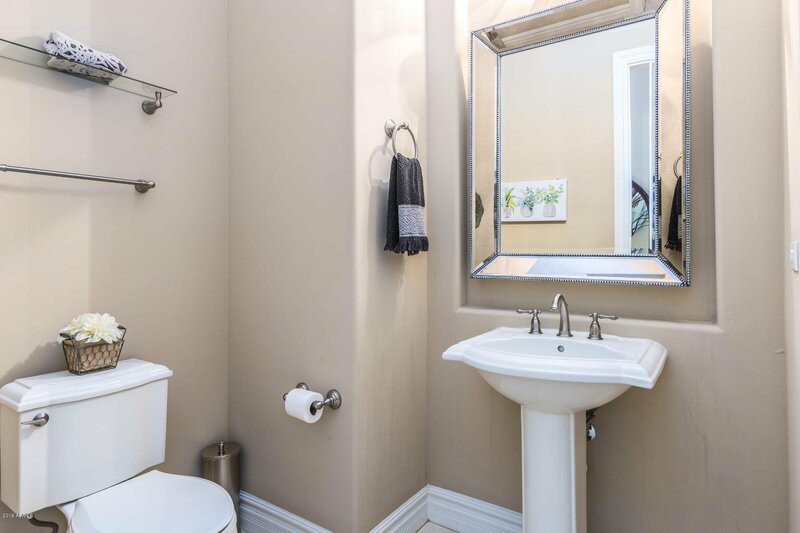 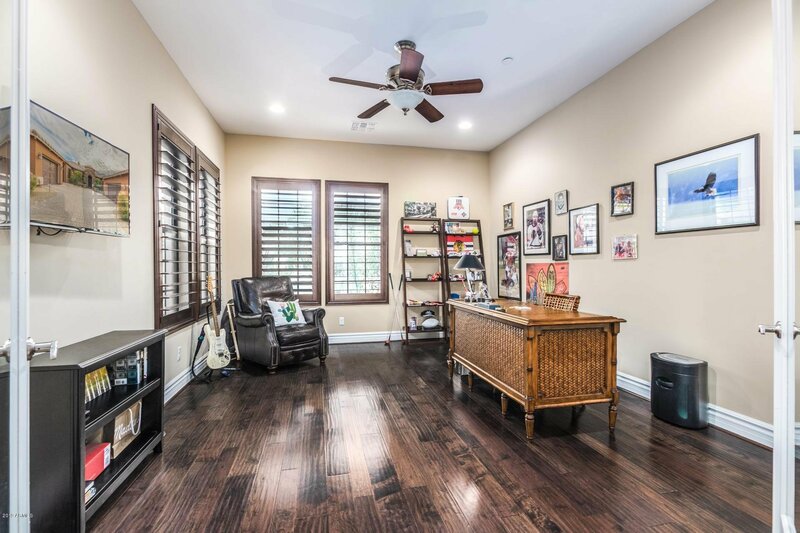 4bd/4.5 bath plus office & media - master and office on one side with double master closets, soaking tub, and large walk-in shower. 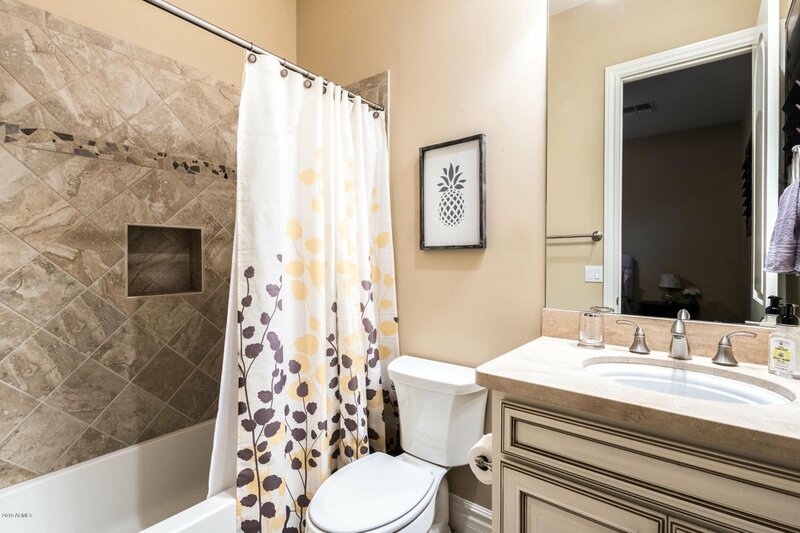 Two additional bedrooms and bonus media/play room on opposite side makes this a true master split. 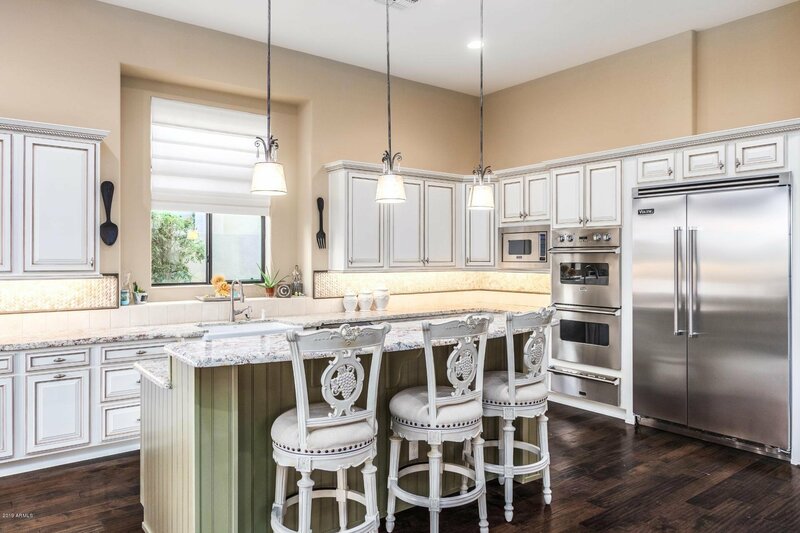 No expense was spared with all top level finishes from the floors, to cabinets & custom countertops t/o. 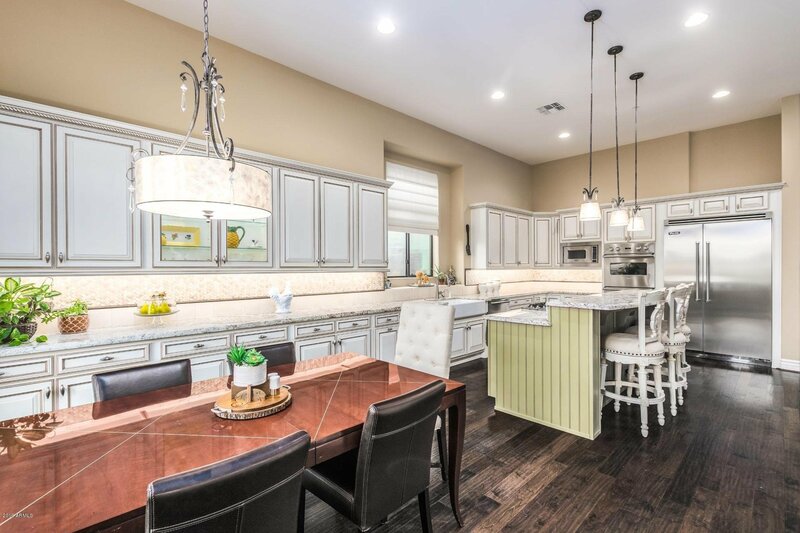 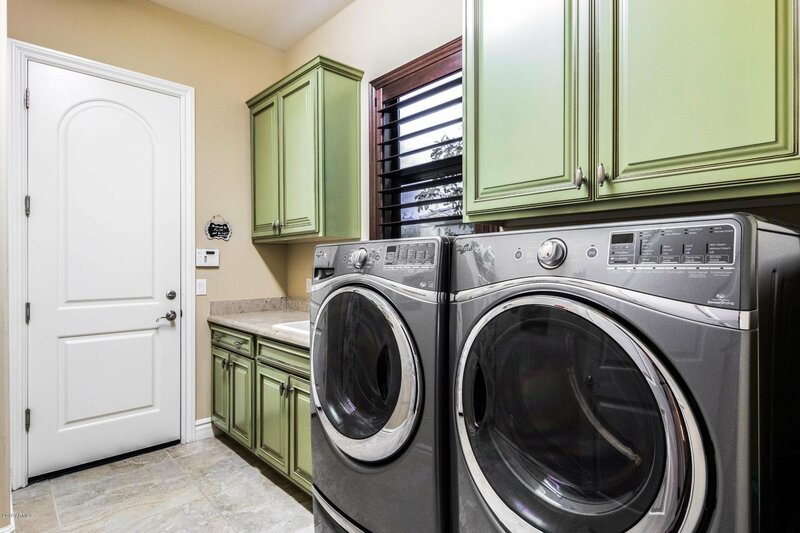 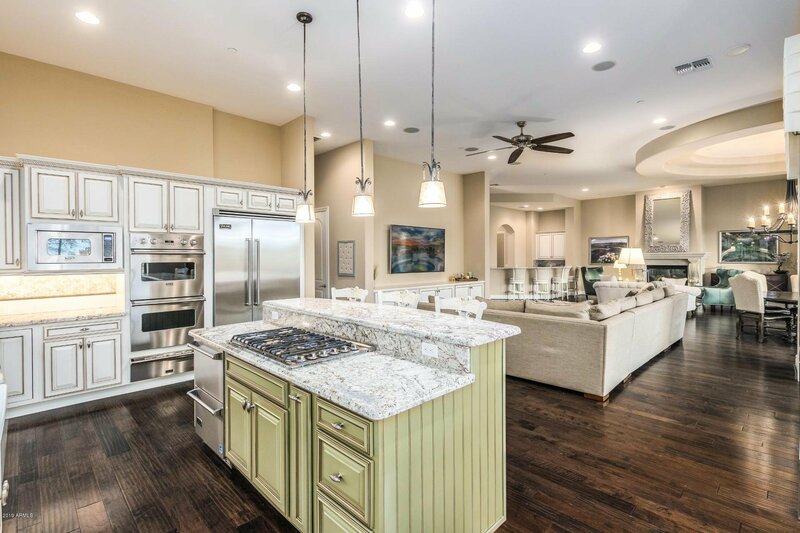 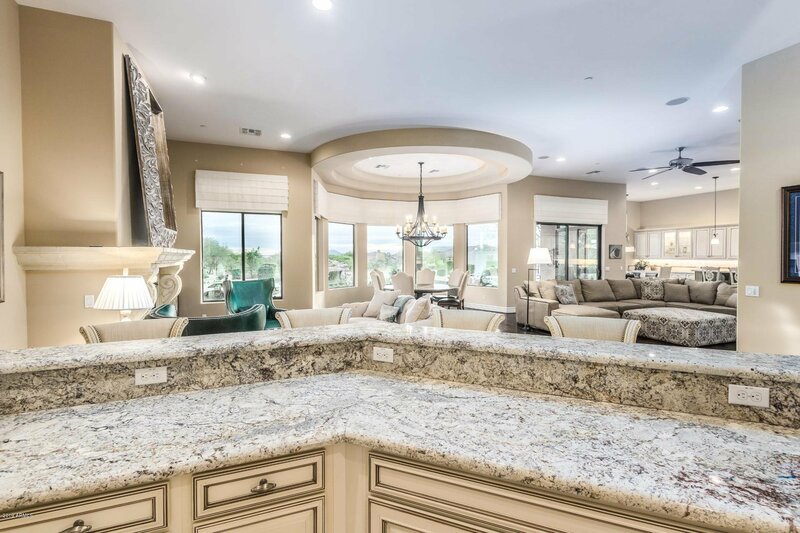 Top of the line Chefs Kitchen w/ALL Viking appliances including: 6 top gas burner, large refrigerator freezer w/additional 2 refrigerator doors at island, double ovens + warming drawer, dishwasher, and microwave. 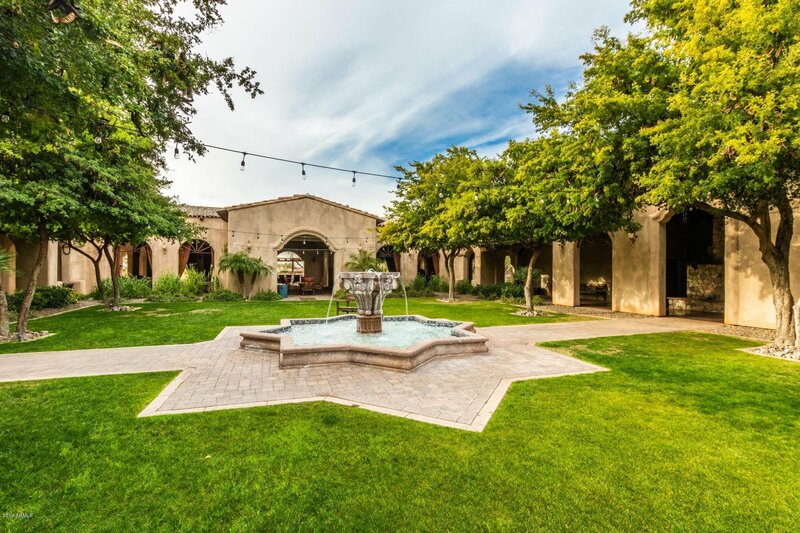 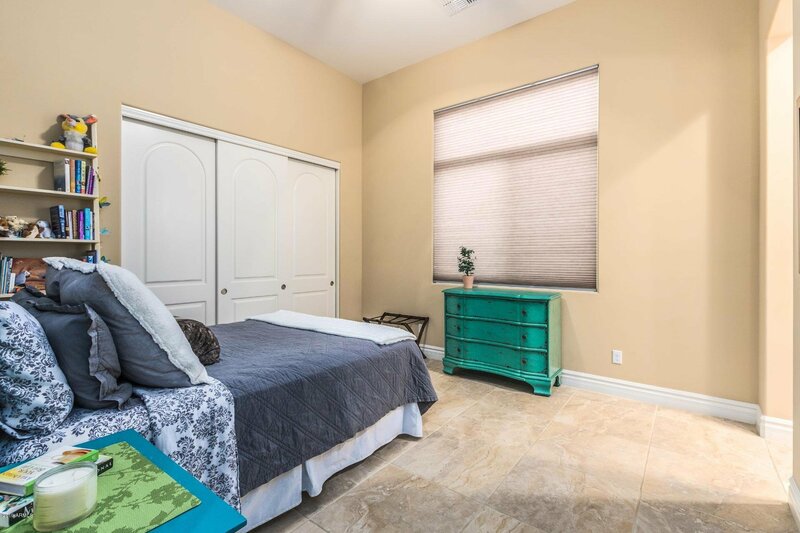 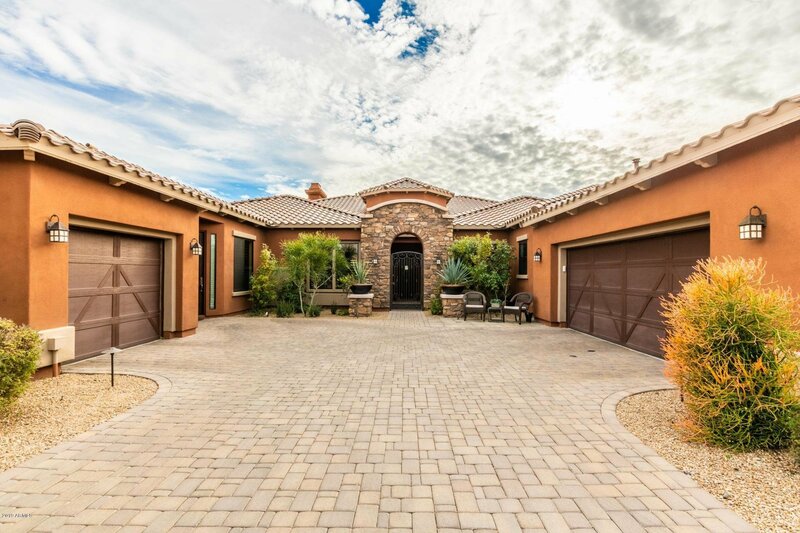 Guest casita is attached with entrance off the front courtyard, and close access to garage. 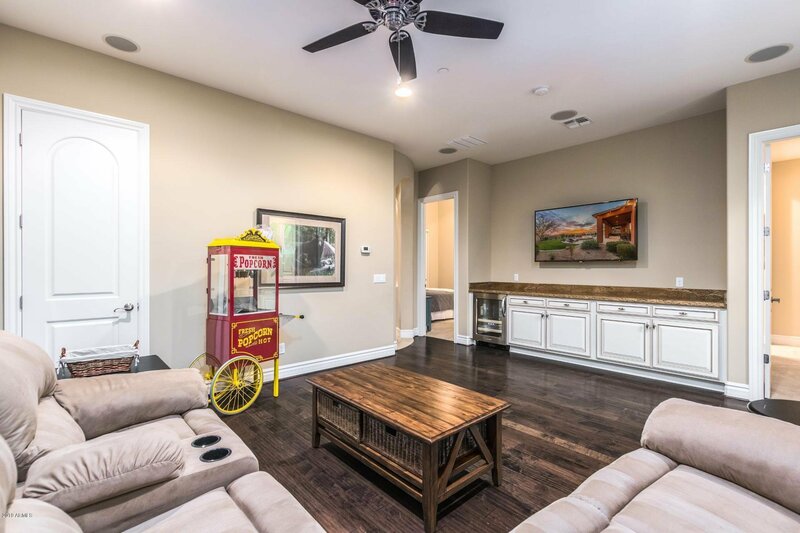 Wine refrigerator conveys in media room. 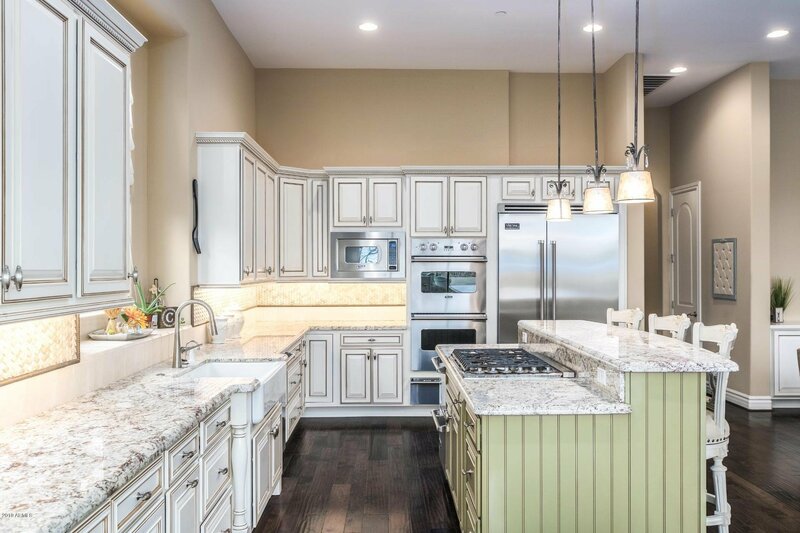 Light two-tone cabinets with top level granite countertops with extended counters for a perfect kitchen layout. 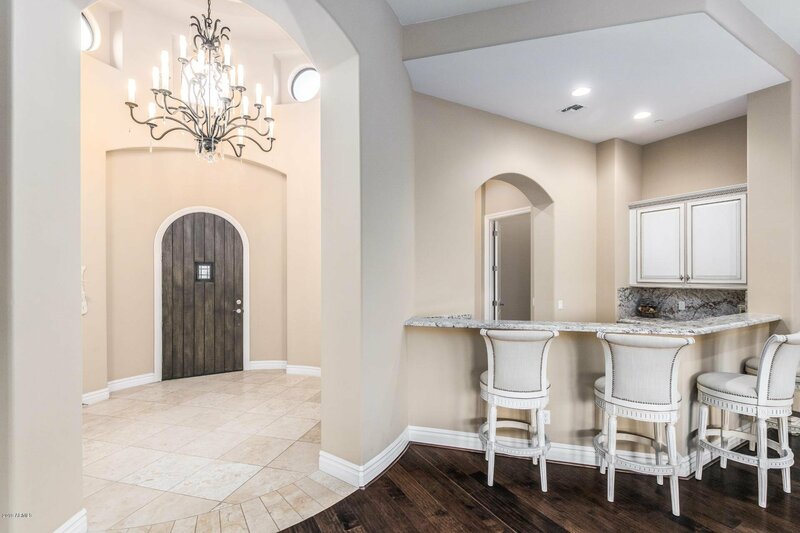 Large walk-in pantry with extra storage and shelving. 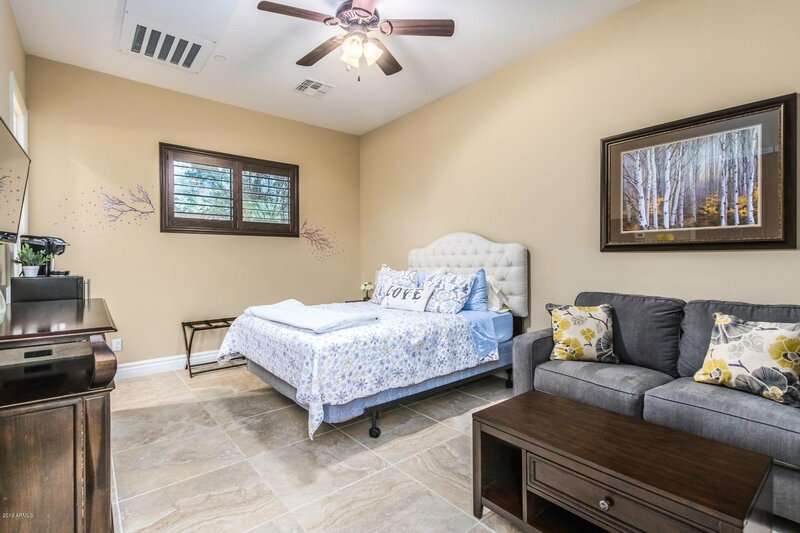 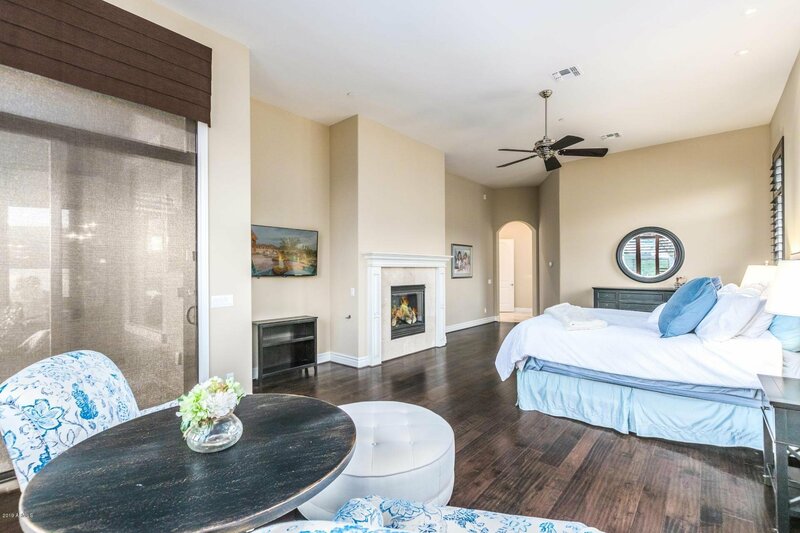 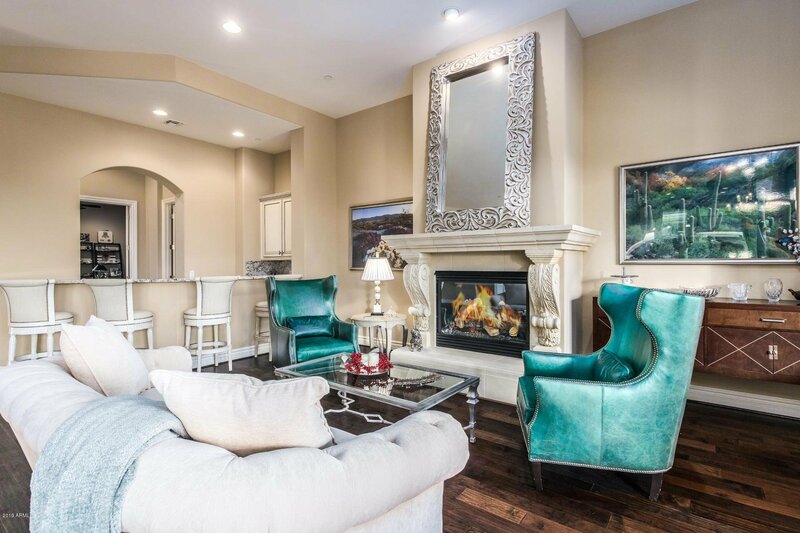 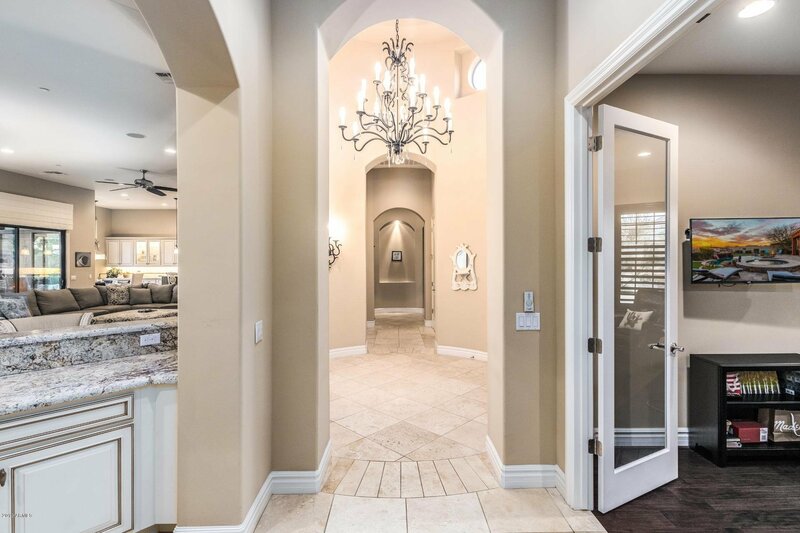 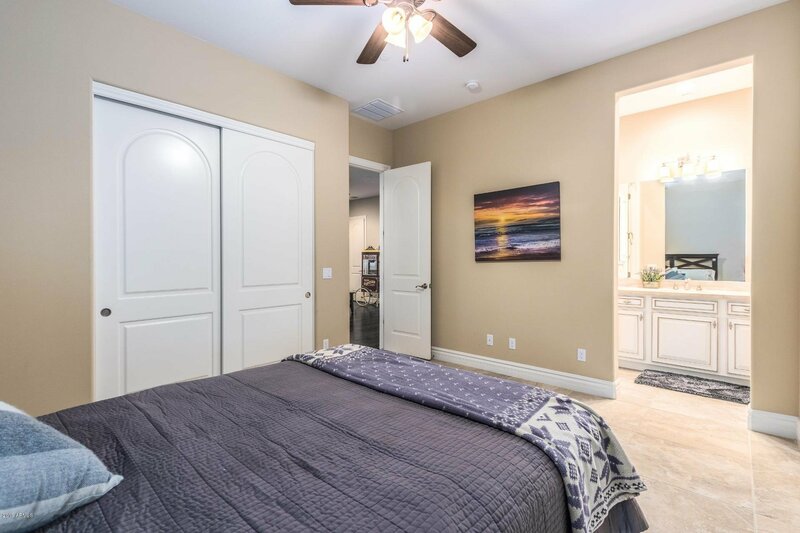 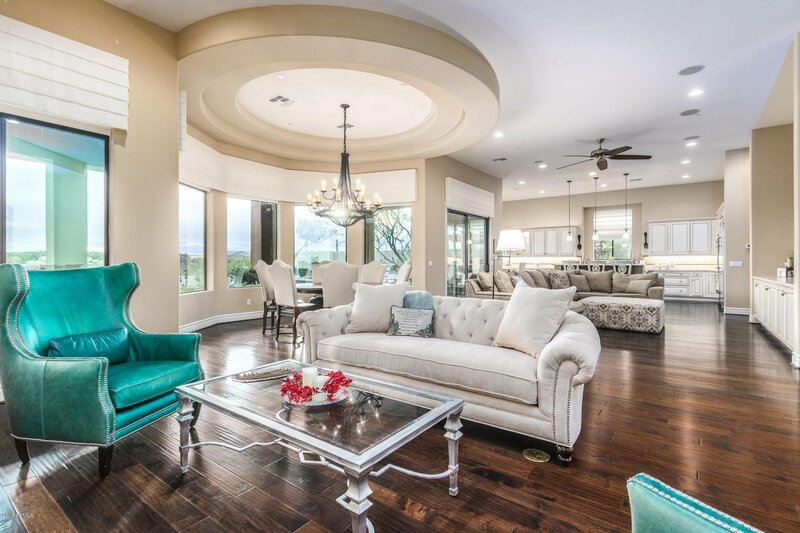 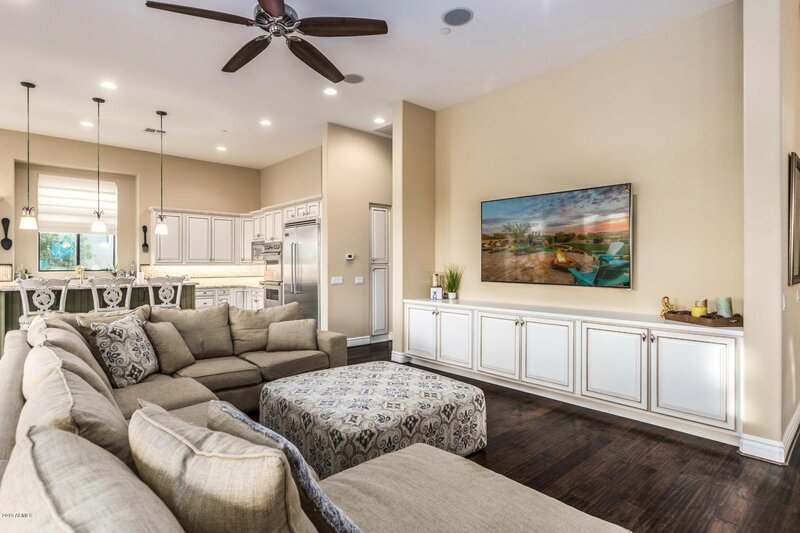 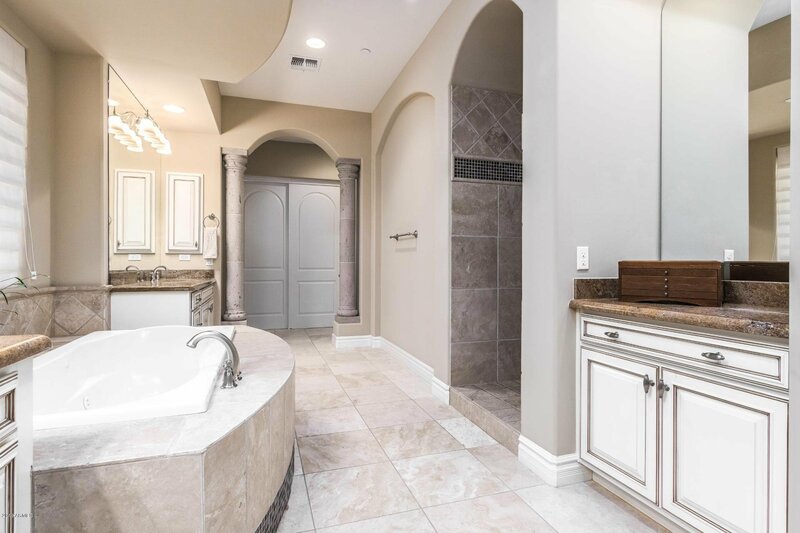 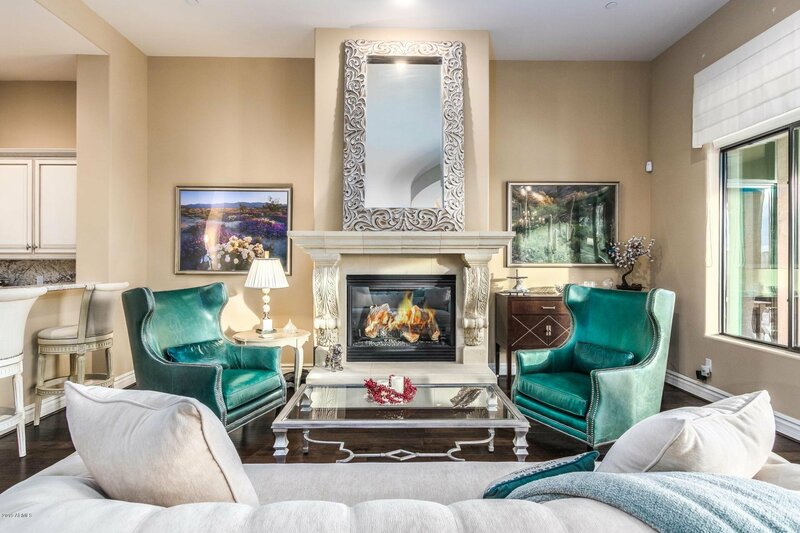 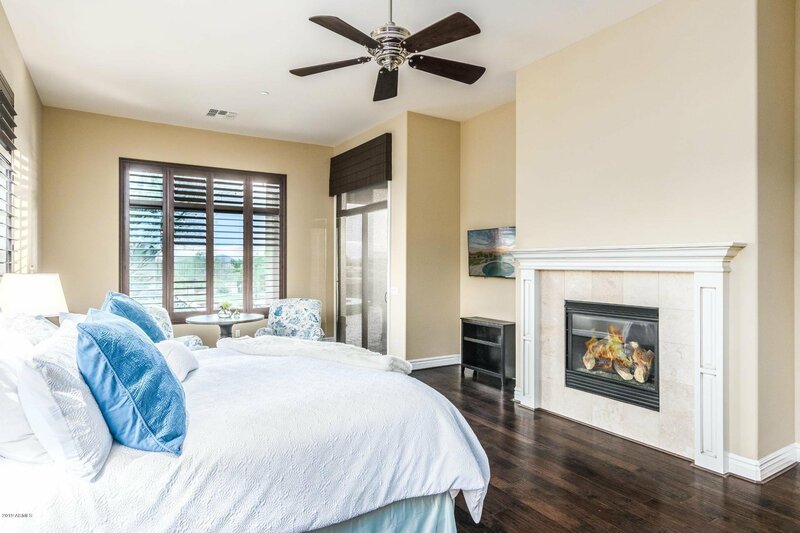 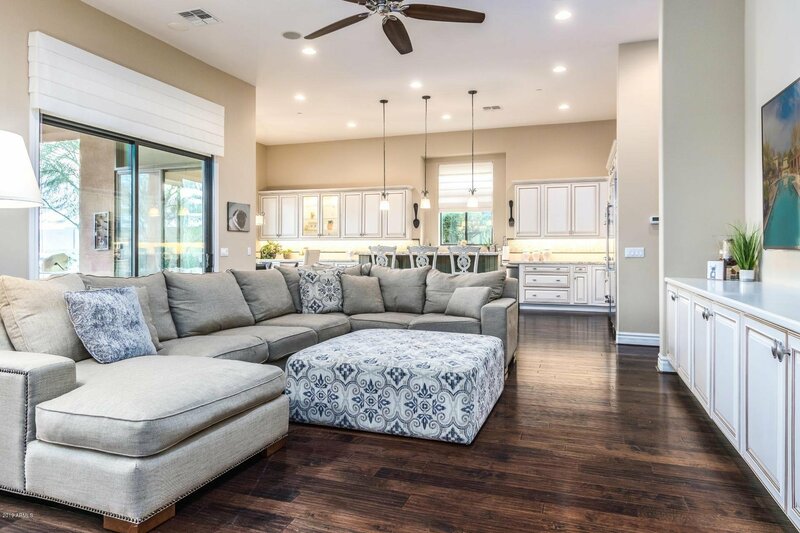 Custom light fixtures throughout, upgraded baseboards, additional built-in storage and iWired whole home automation. 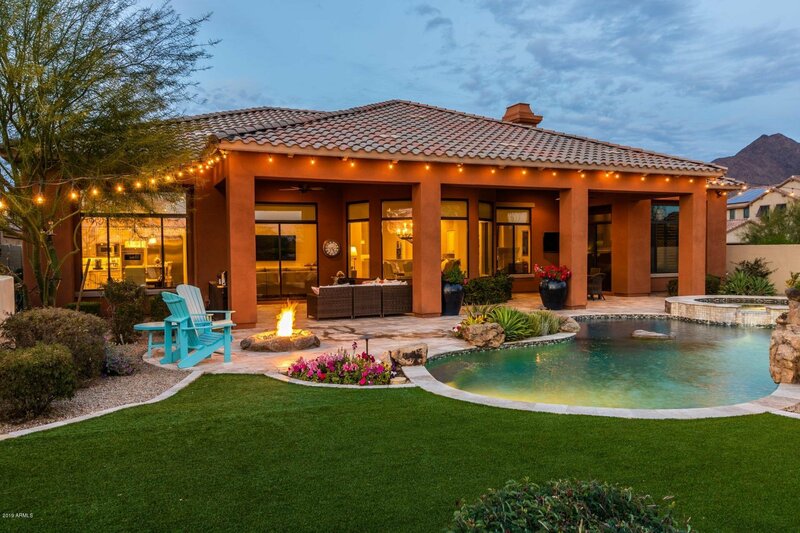 Backyard oasis includes putting green, additional synthetic grassy play area, travertine pavers under extended patio running the length of the home. 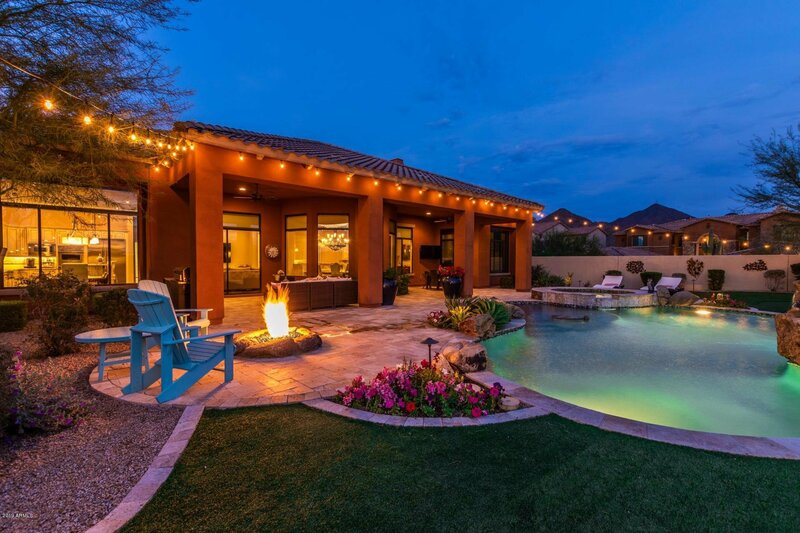 Wired for outdoor entertainment. 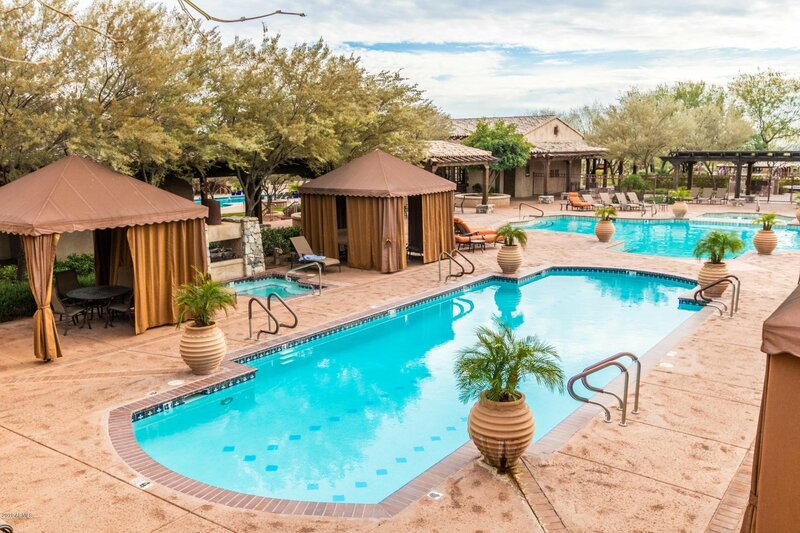 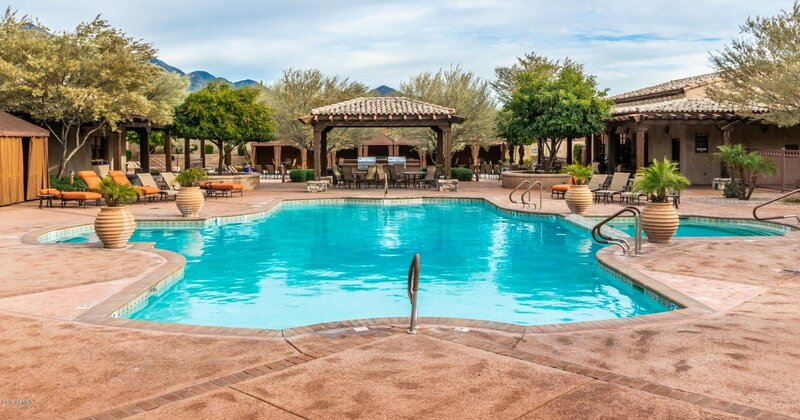 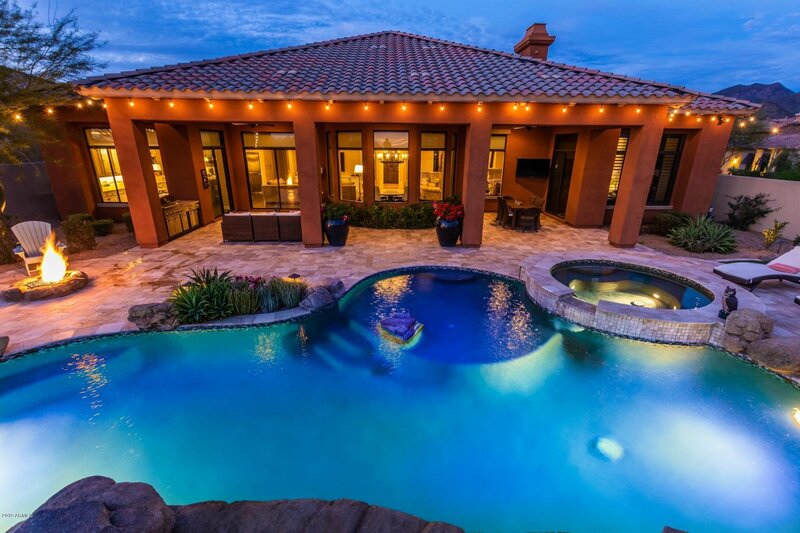 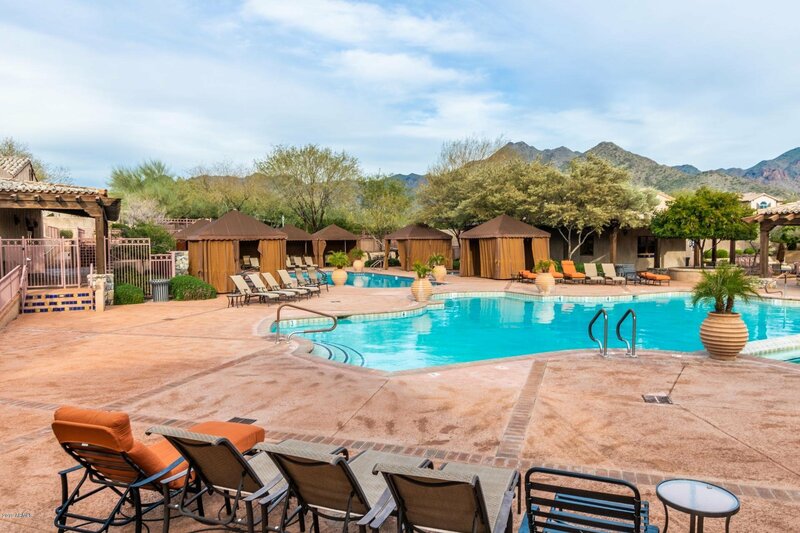 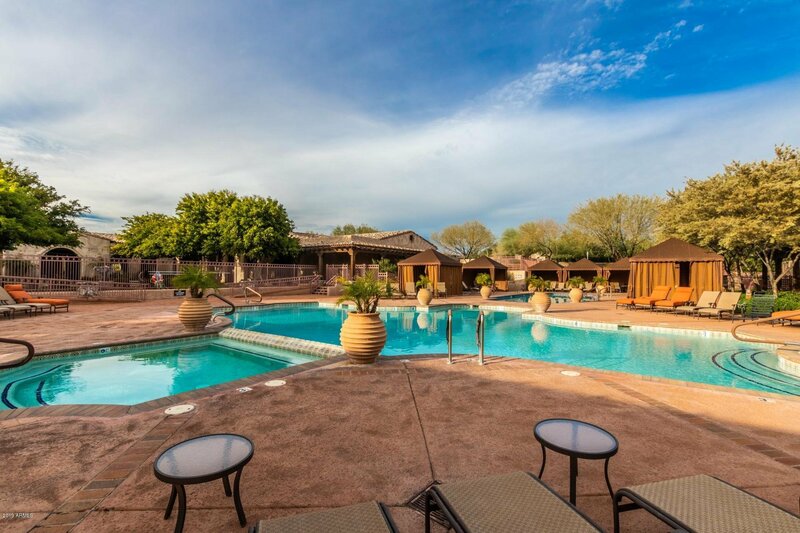 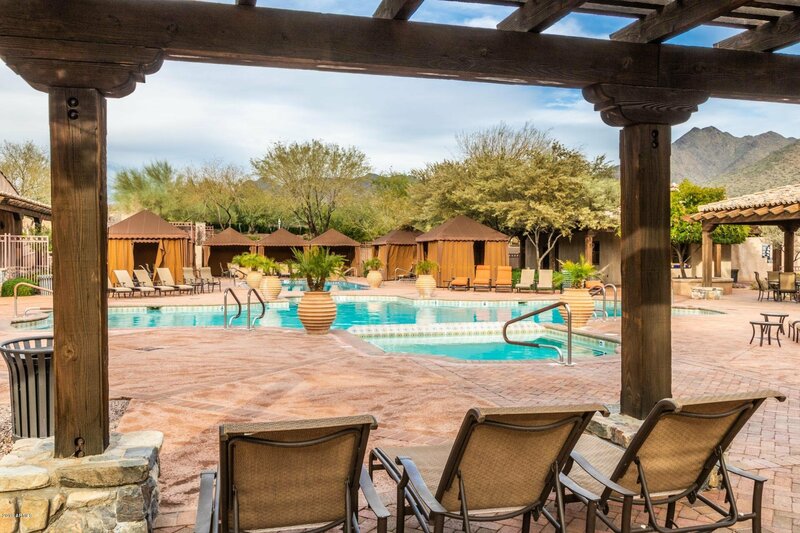 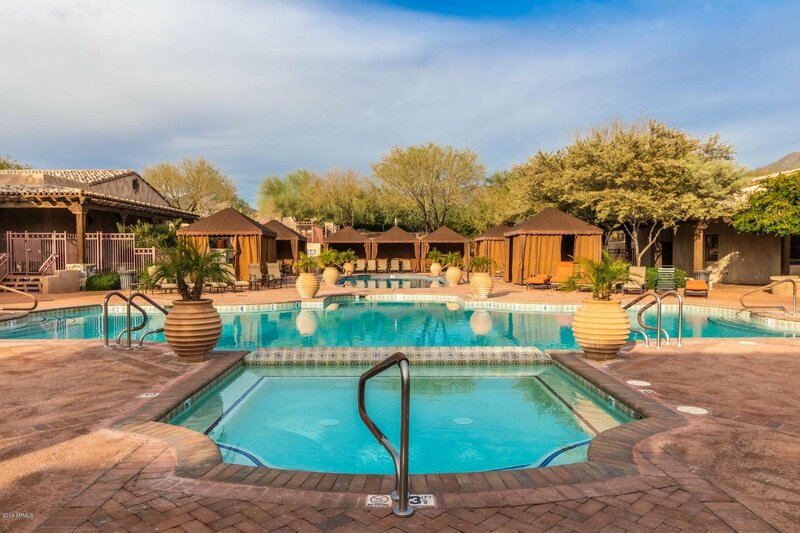 Perfect sized gas heated pool with large Baja shelf, serene water fall, and spa. 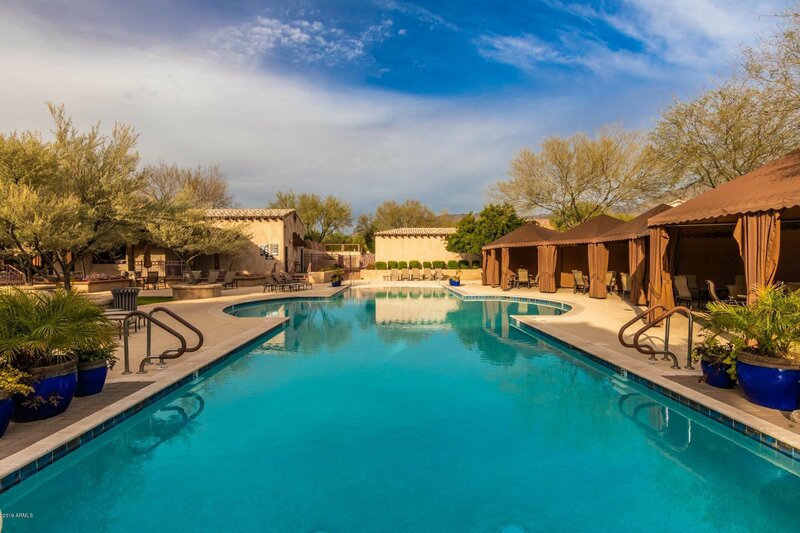 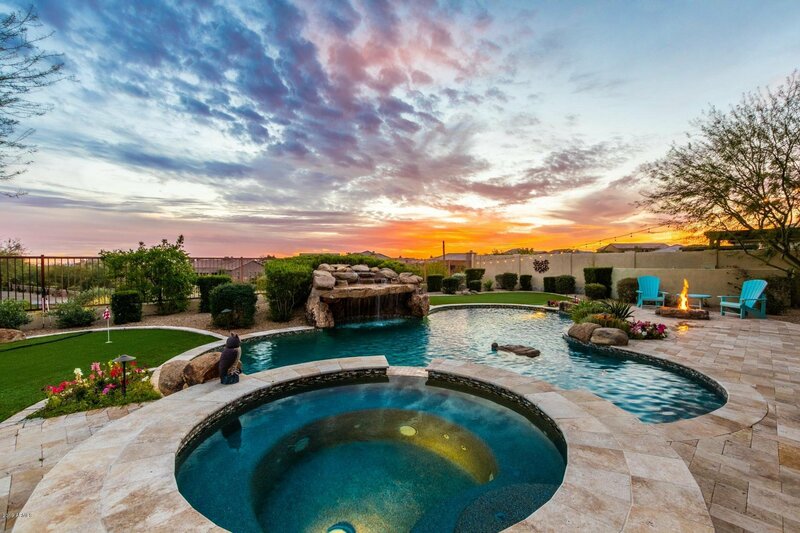 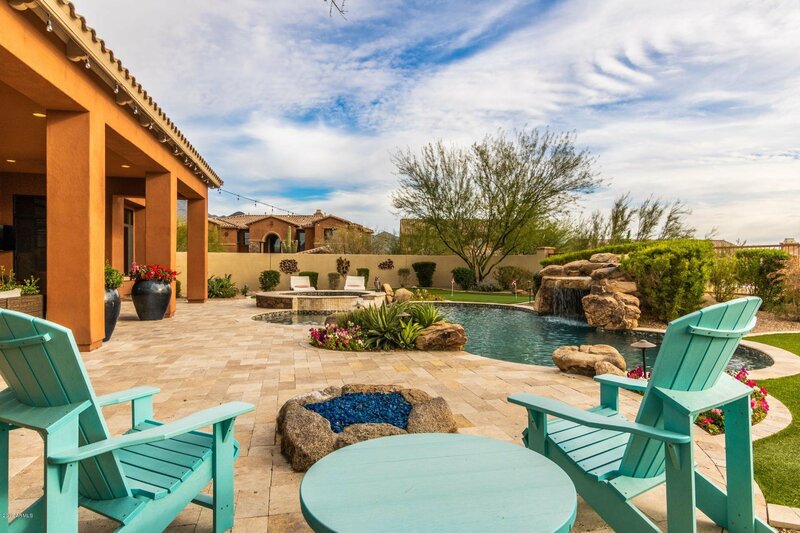 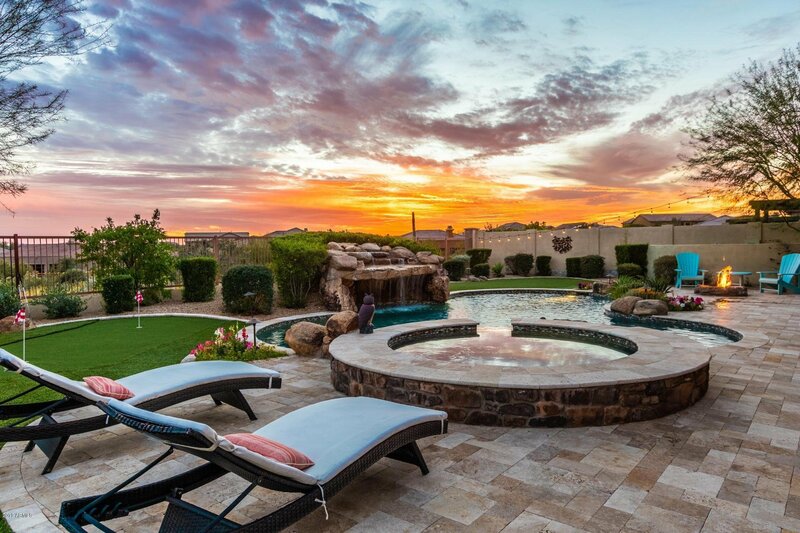 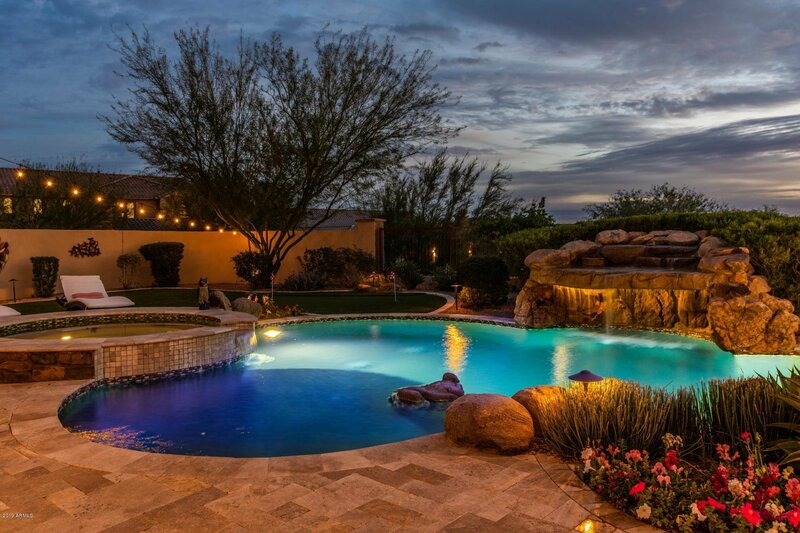 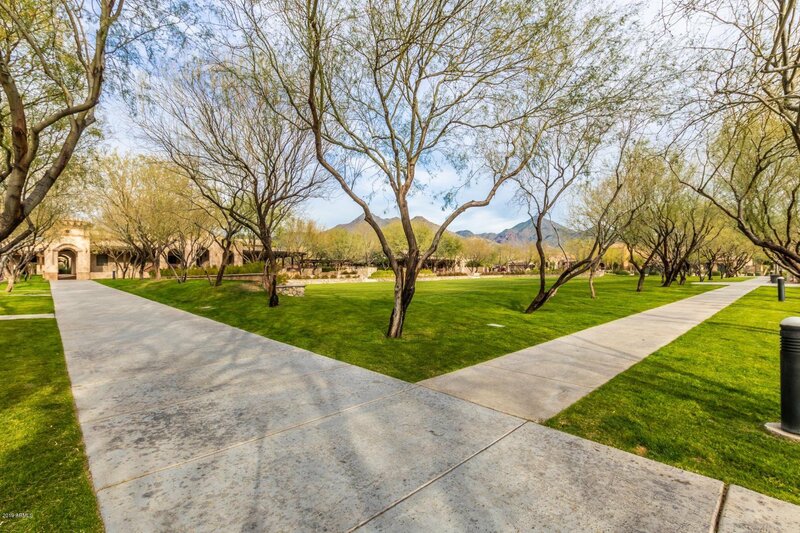 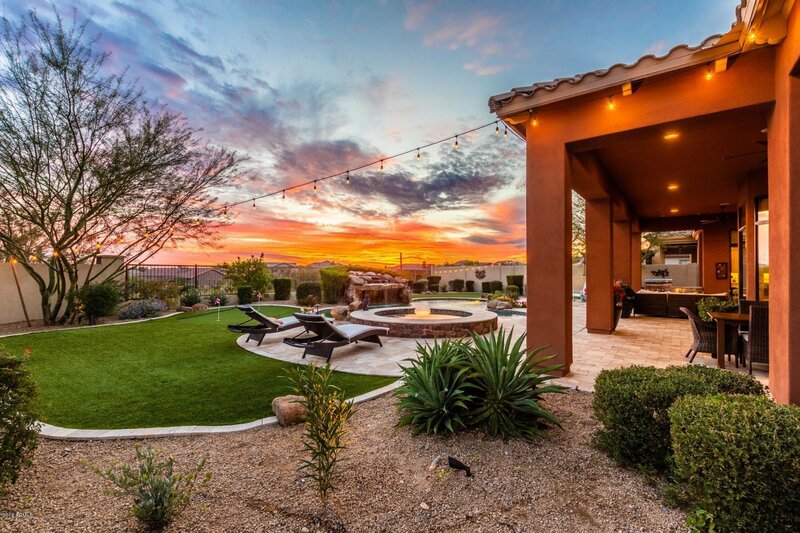 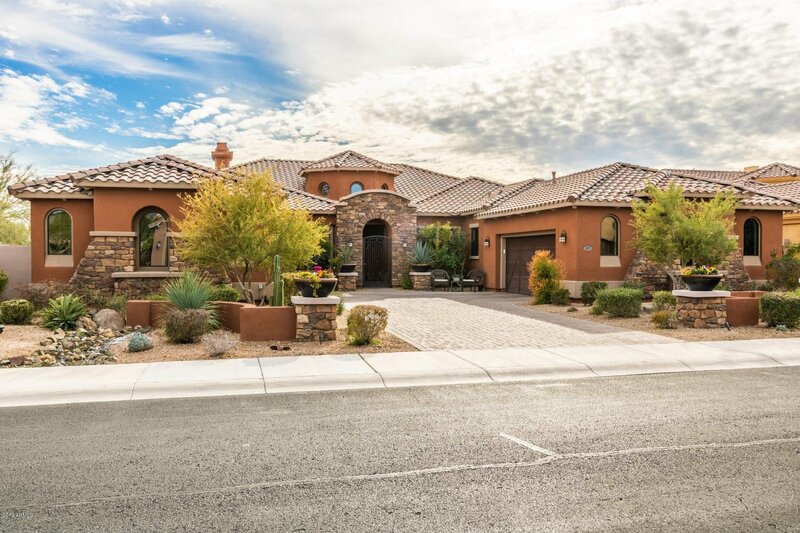 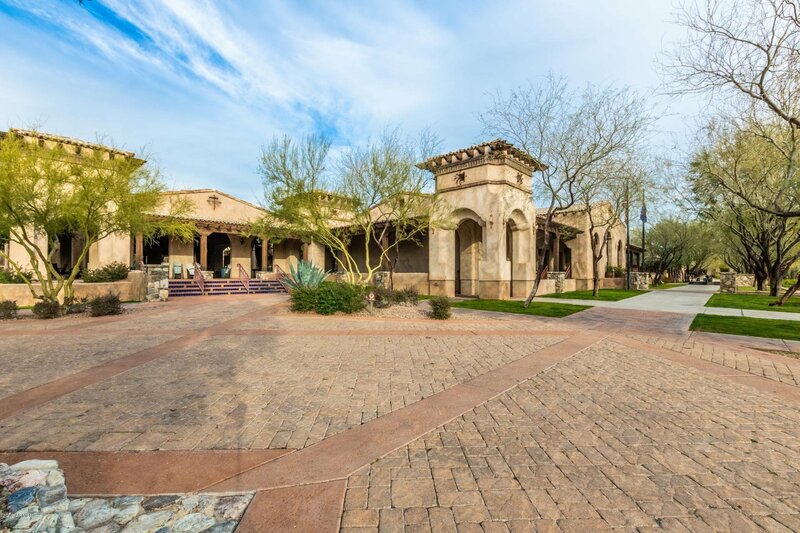 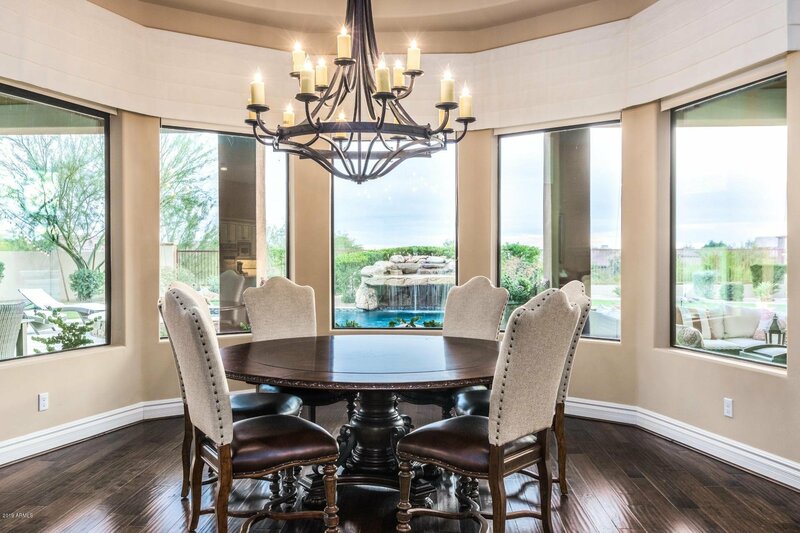 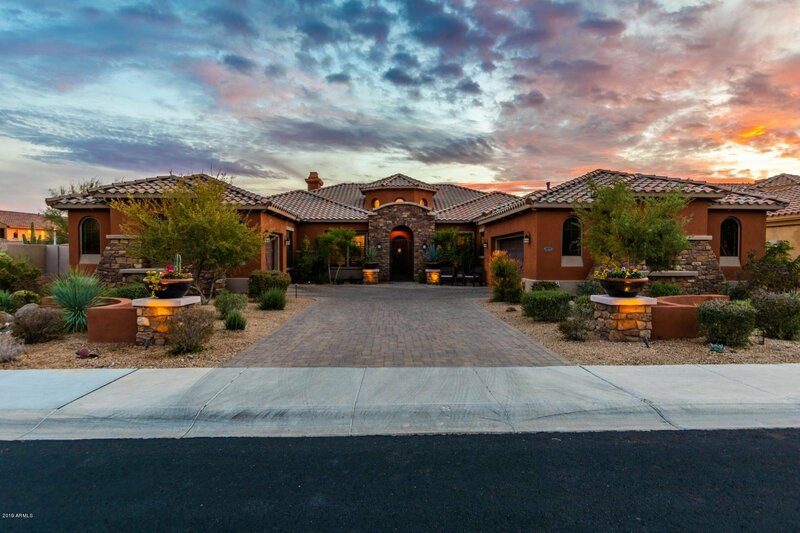 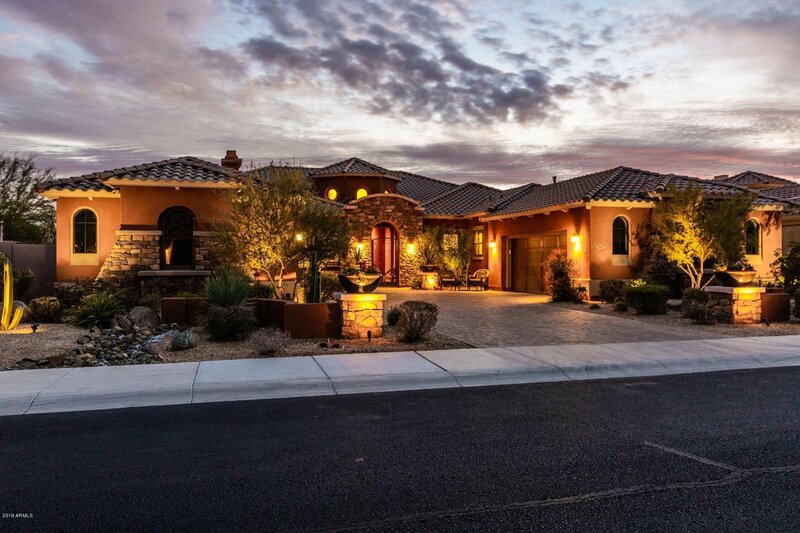 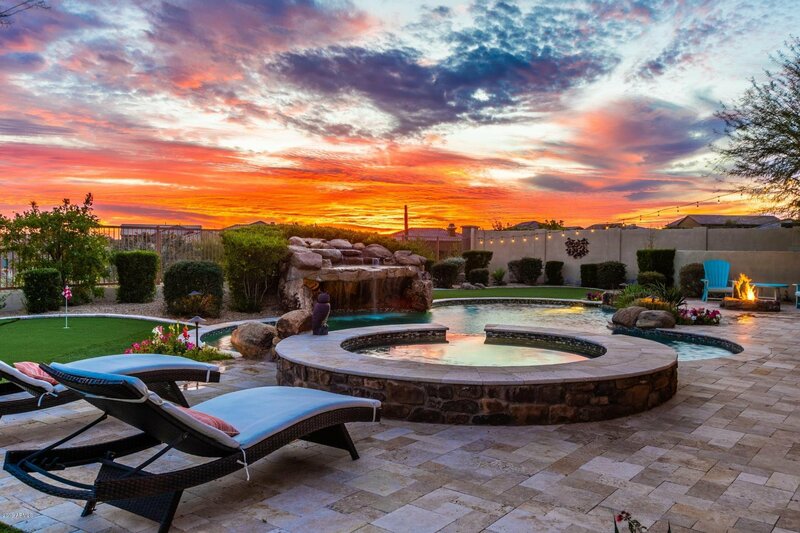 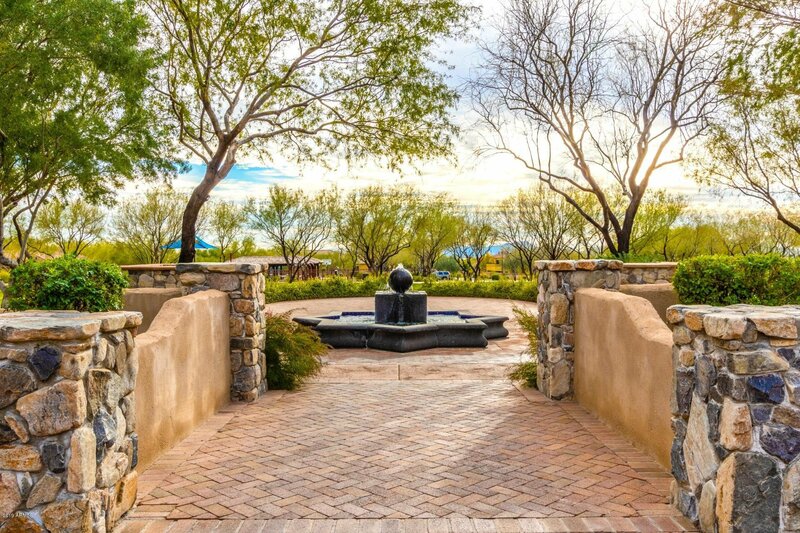 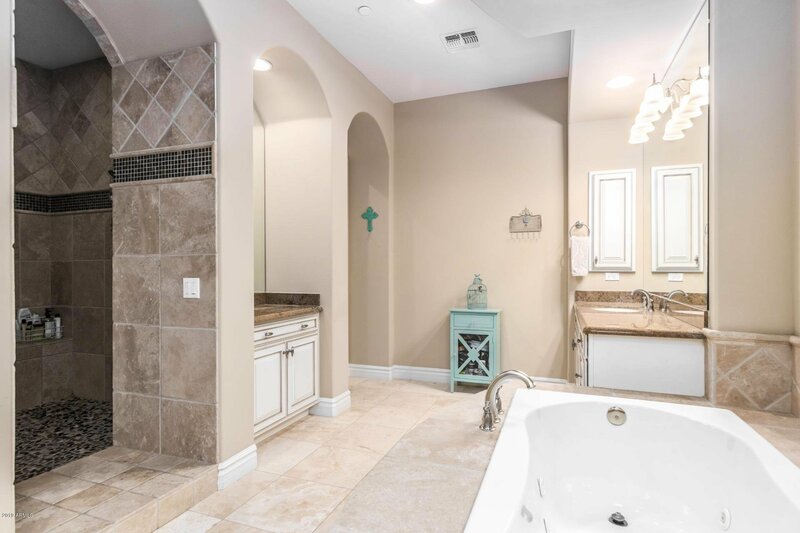 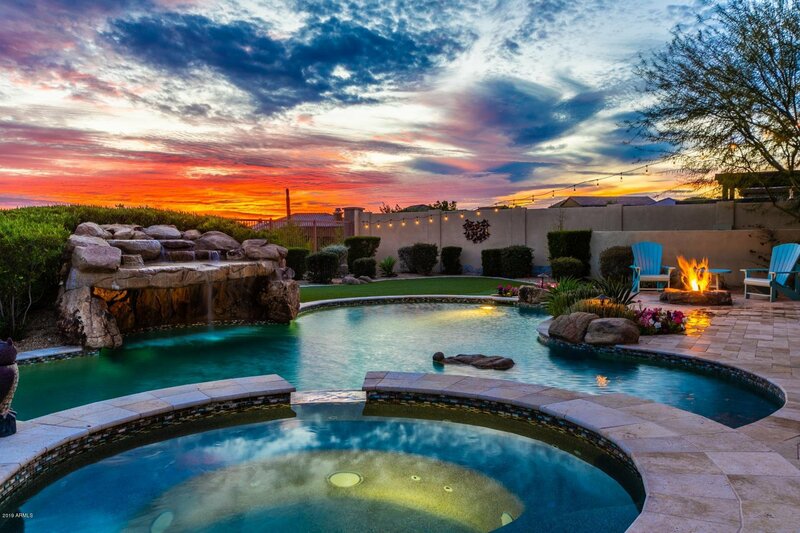 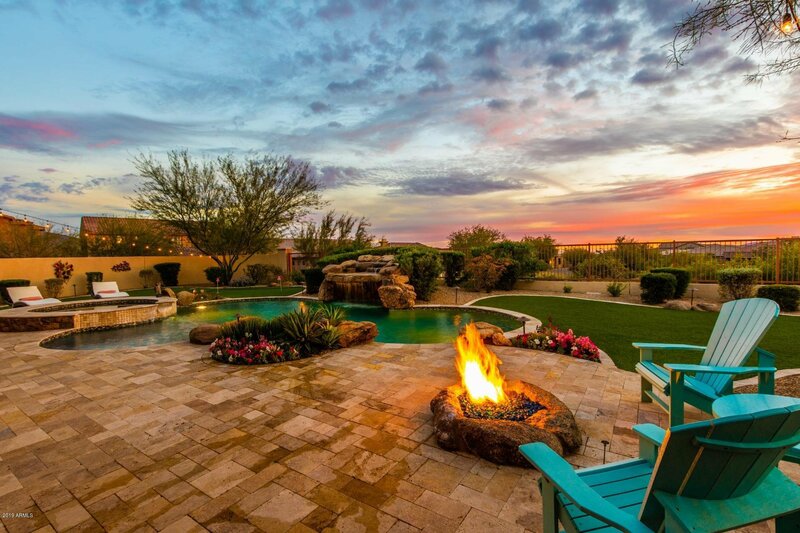 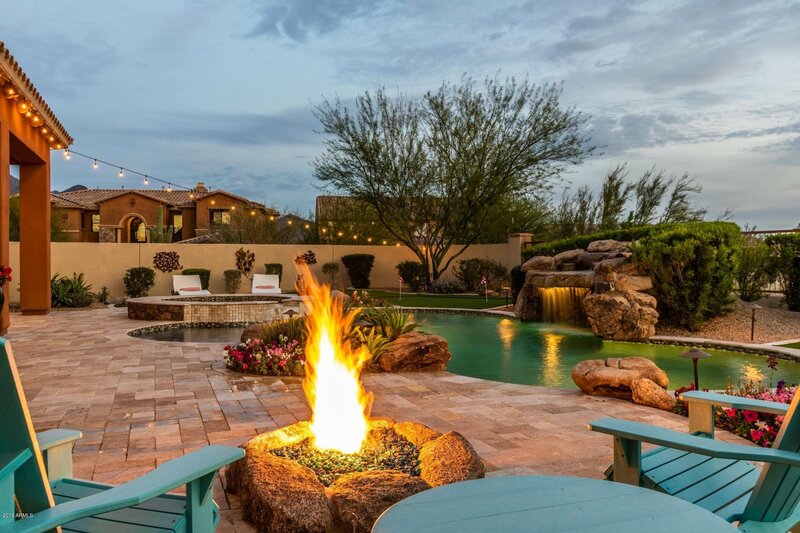 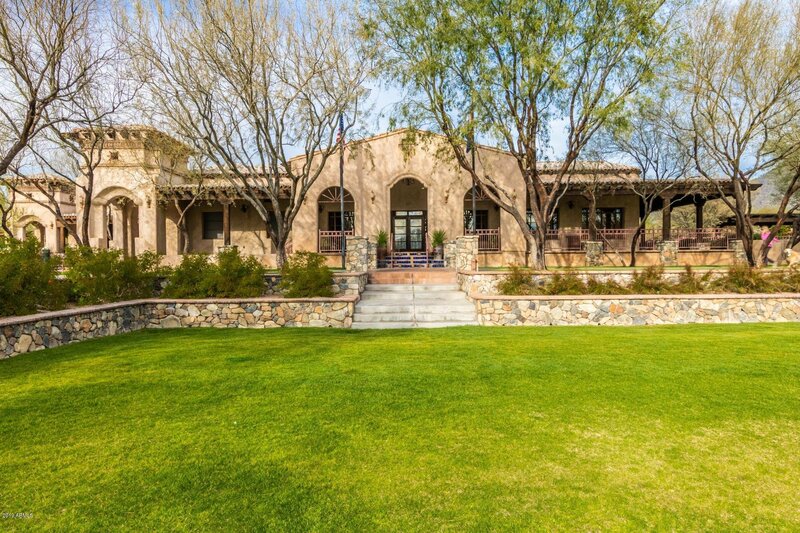 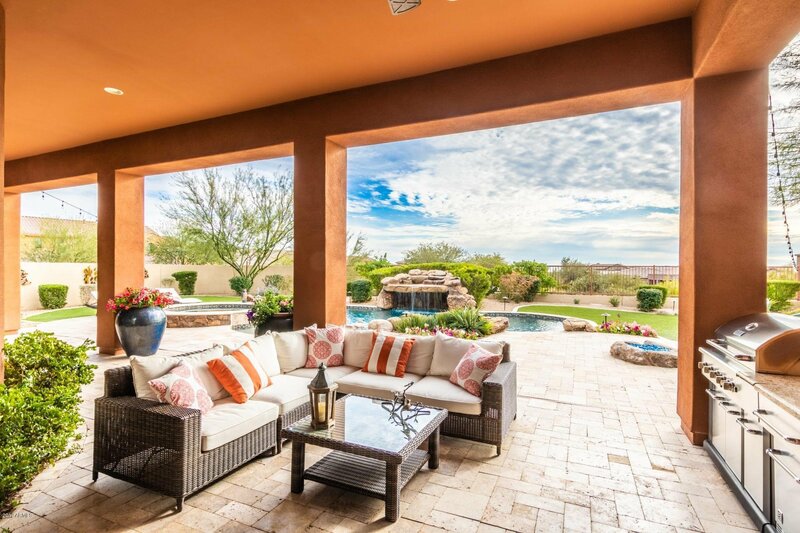 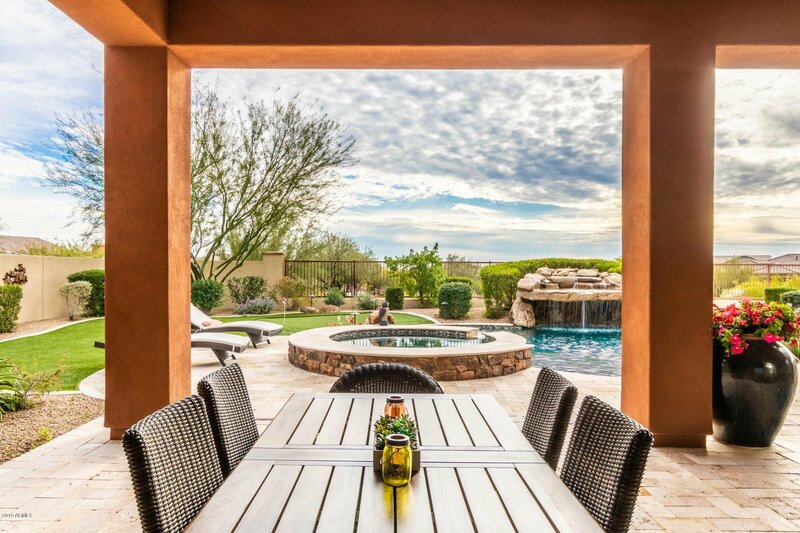 Easy, low maintenance yard, with Camelback Views to the South, and the McDowells to the East. 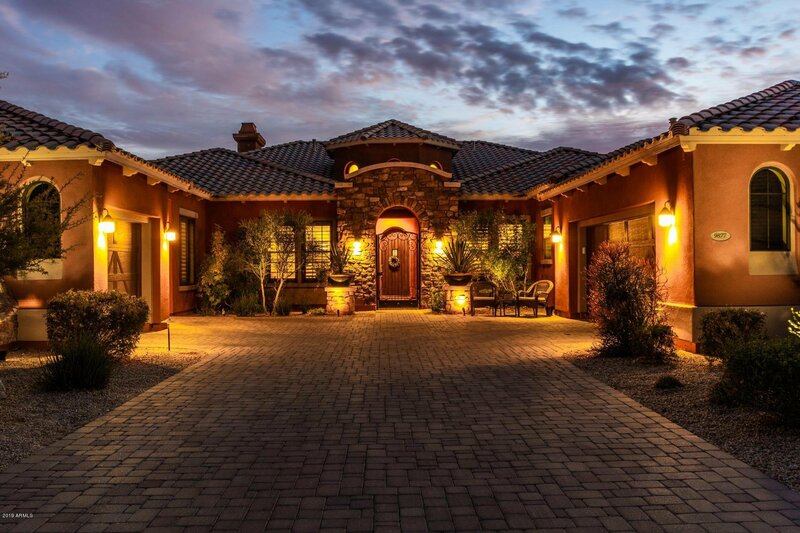 3 Car garage has 2, 220 outlets for Tesla plug-in parking. 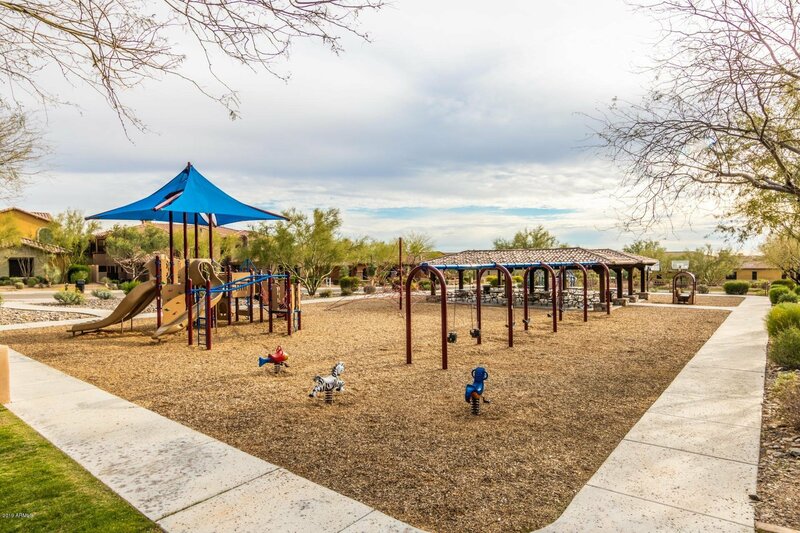 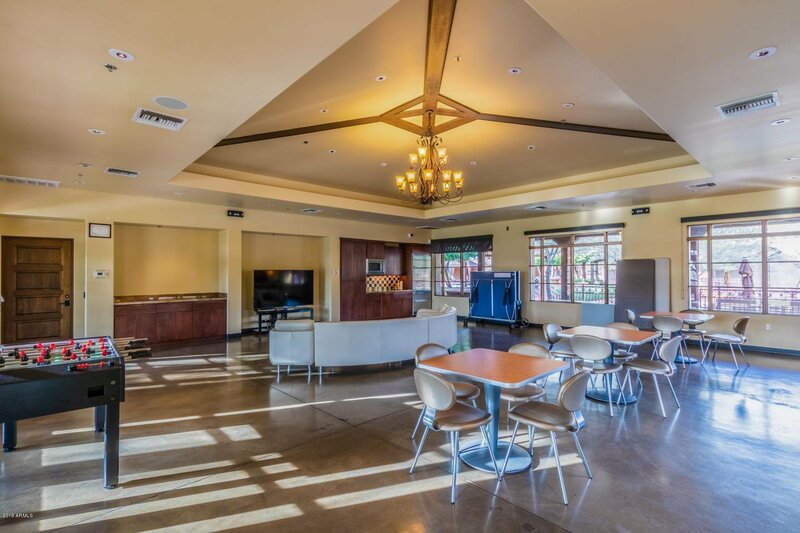 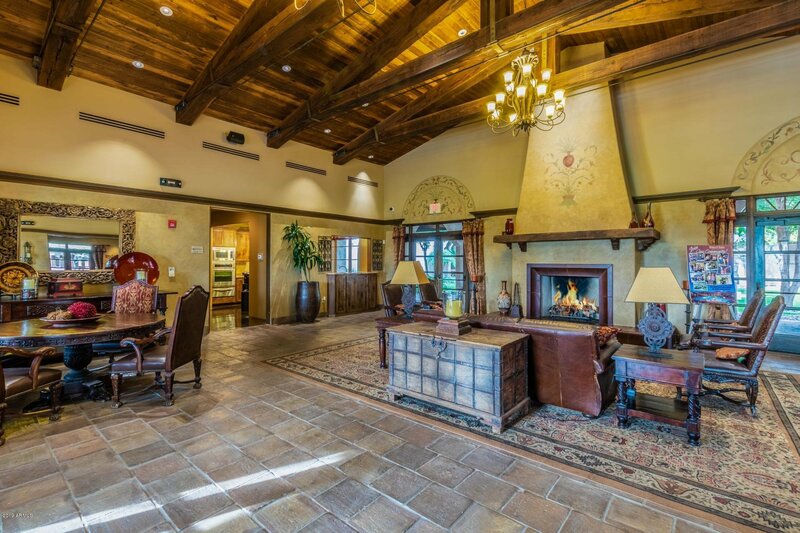 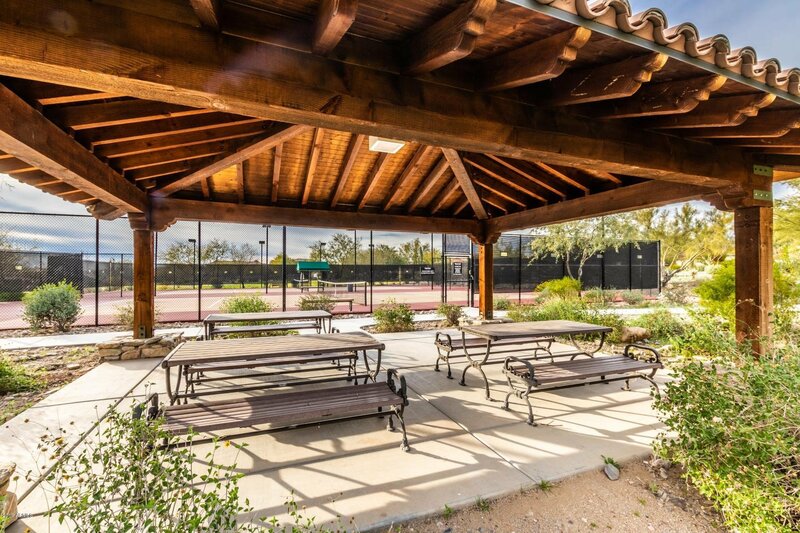 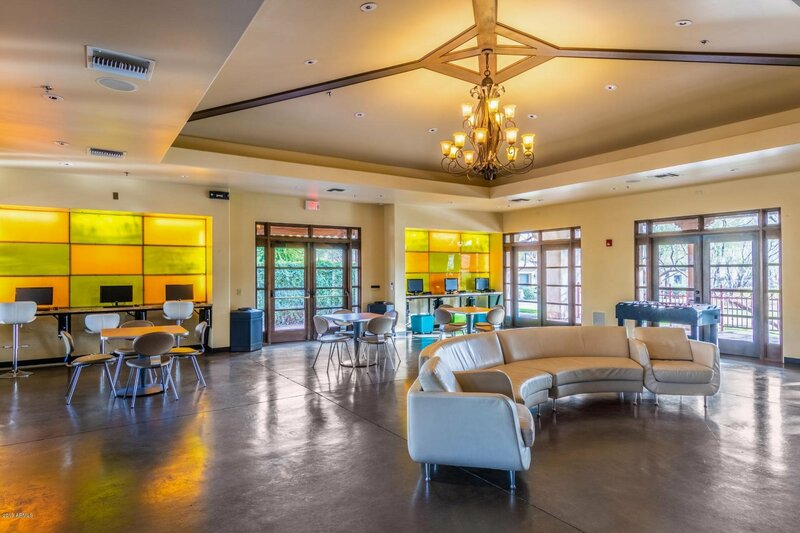 Windgate Ranch Community Center offers 3 pools, playground, grassy play areas, teen center, clubhouse and more. 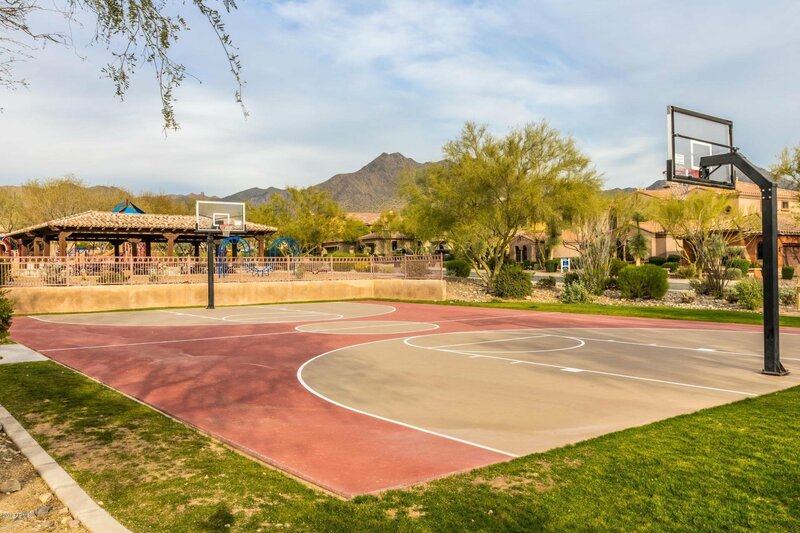 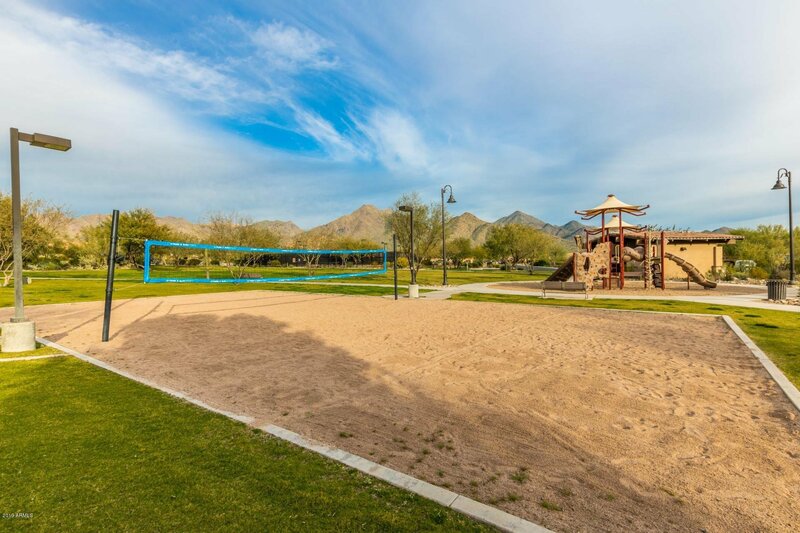 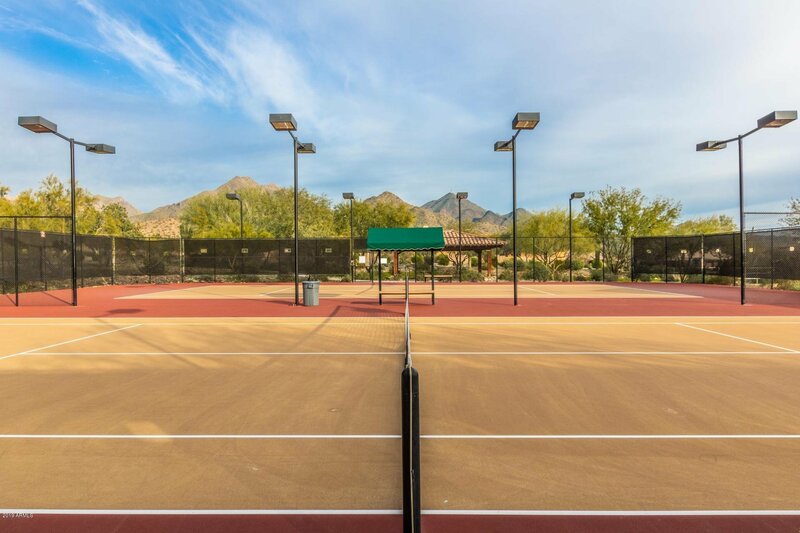 Steps away from your front door you have an additional playground and tennis courts, with extra grassy play areas. 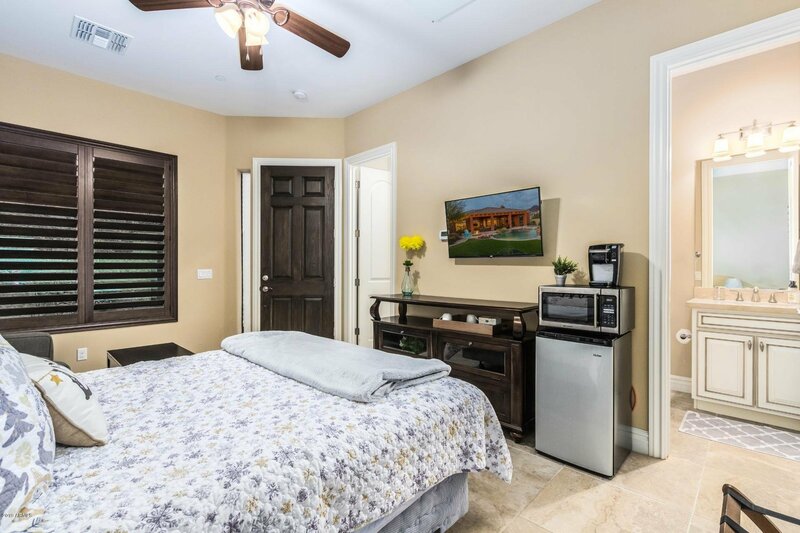 Conveniently located near the back gate for easy access! 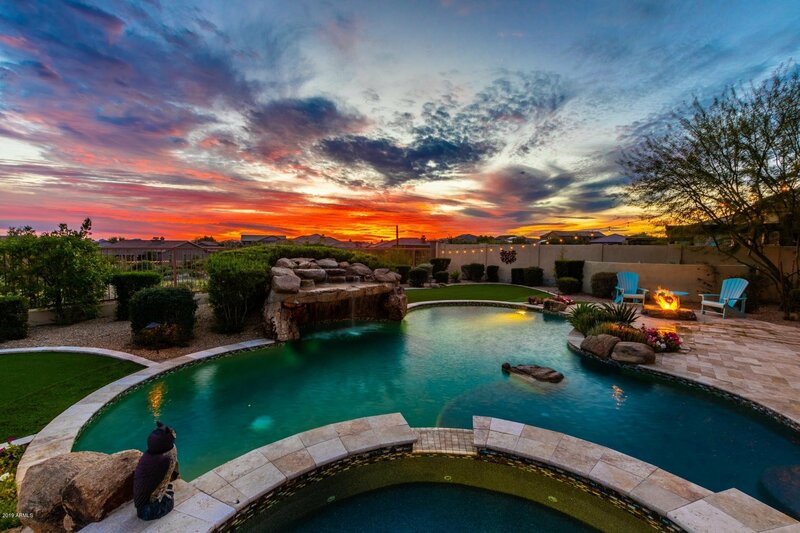 Schedule your showing today, and don't forget to come back for the sunset!